FOR WORK. FOR PLAY. FOR LIFE. Our groundbreaking apps are helping make technology more accessible for more people. Find out more about Panther! Sign up for releases and special offers! Our apps incorporate deep insights into Universal Design to help people unleash potential. So if you have a physical challenge, chances are we have an innovative approach to overcoming it. 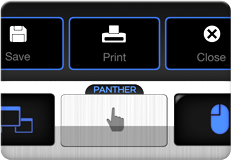 Panther’s interfaces are intuitive, understandable, and easy to use. Once you know one app, you’ll feel comfortable with them all. We want the Panther experience to be simple, powerful and motivating. Our apps provide breakthroughs in access, so students can work with what is already available. And share resources with others. Even our games allow people of different abilities to compete together. Is Panther for kids? Teens? Adults? Grandparents? People with Disabilities? Well…. yes. Panther’s apps actually change to best meet a person’s needs. 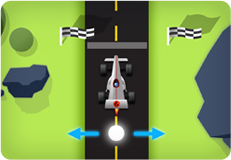 Our tools and games offer an incredibly diverse range of intuitive customizations. 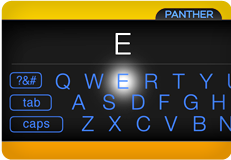 You can change the layouts of keyboards and commands. Explore newly conceived access methods. Even choose different looks for your App. Discover Panther. We think you’ll appreciate how our innovations help unleash your imagination and efficiency – and even your world.